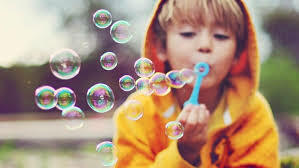 Exhalation of breath is what you need to blow bubbles and to make a sound. Makes all perfect sense. The rest is ‘just’ practice.